Kalix's new HIPAA compliant virtual appointment (telehealth) solution is now available, plus other improvements. Kalix's new HIPAA compliant virtual appointment (telehealth) solution allows you to easily connect online with individual clients, as well as larger groups. An all-in-one solution for video, audio, screen sharing, file sharing and chat, Kalix has all you need to run a virtual practice. 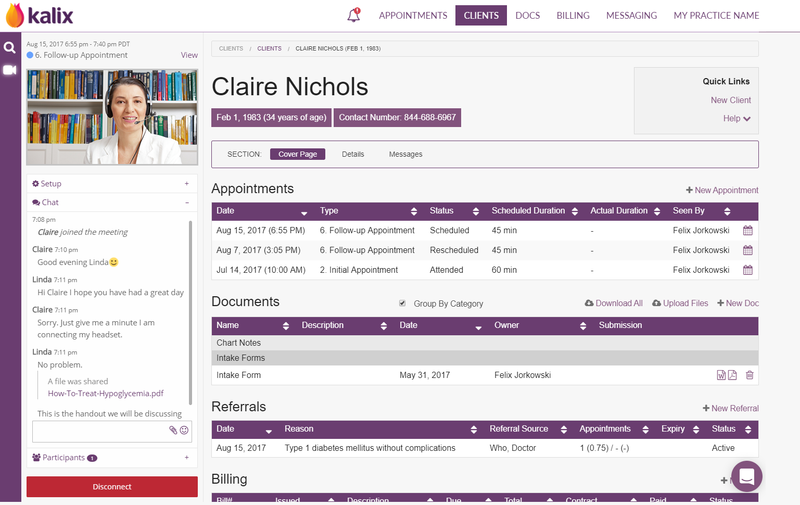 Best yet, virtual appointments are completely integrated with the rest of the Kalix EMR platform. Kalix's virtual appointment feature is intuitively designed. Your clients can connect without having to download any software, ensuring that appointments start on time, every time. By clicking on a weblink and entering a code, they are taken directly into your virtual appointment. It's simple, secure and stress free. The issues affecting Kalix on the iPad have now been resolved. Please reach out if you continue to have any problems. We have made scheduling recurring appointments and packages of appointments much easier. 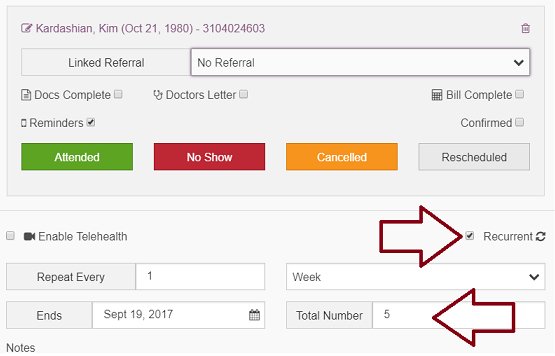 You can now enter the total number of recurring appointments and Kalix will calculate the end date for you. You can now filter the billing page by the status Ready to batch.